Hello Natural Hair Lovers, happy reading and I hope you find This Post Interesting, informative and Useful. 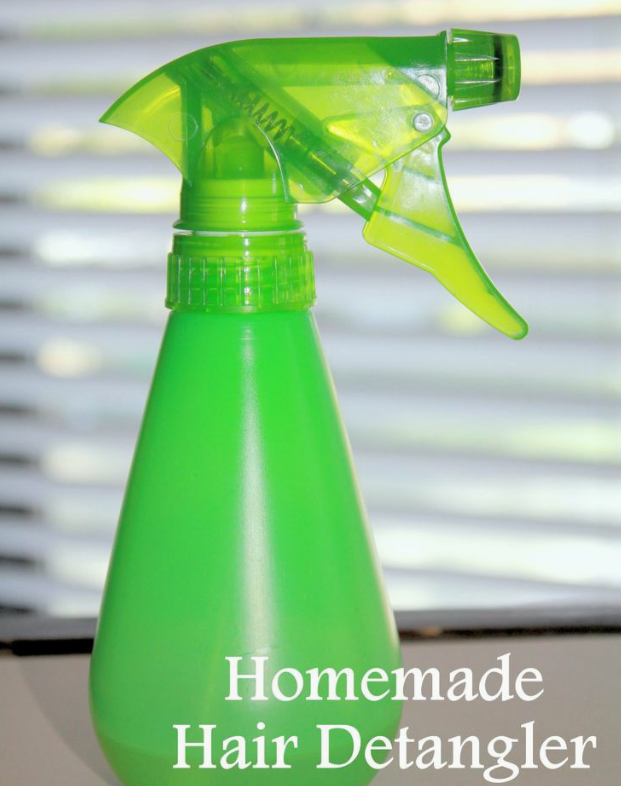 Spritz is a combination of items put in a spray bottle, to create a usually light mixture liquid spray. It can then be sprayed [spritzed] over the hair, and used as a leave-in, a detangler, or as part of your pre-poo routine. The main thing about them is that they are a spray treatment – hence the word ‘spritz’. The general recipe for a home-made spritz is a liquid plus an oil, in the bottle. Some people like to add a bit of conditioner [one with good slip, and moisturising properties instead of protein]. But there are dozens of combinations – you need to work out and experiment to find what works for you and your hair, according to its porosity and density (check in the files for how to find this out). One thing to note is that I add in the EOs *before* I add the oil. This is because I want the benefits of the EOs to be blended into the liquid when it separates. ■ It goes on at night to sleep in, to keep my hair nourished over night (I almost never apply a spritz in the day – I like to let them dry in case I want to do something like a twist-out the next day). ■ I use it as a leave in as my hair dries after washing it/before I moisturise… I’m actually doing this right now as I type. The aloe helps to impart moisture and lay down my cuticles. ■ It can be used to help lubricate my hair before I put on a pre-poo treatment and shampoo. ■ It works as a nice detangler, so I use it as the base layer when I am moisturising the hair, before I twist it up (and add other moisturisers). Below are few ideas of combinations to try, always mix one part water and one part olive oil. All of these can have some essential oils (a few drops) added as well. Remember to shake well before each use! ■ Fill in the bottle with water or Aloe vera gel but alow some space at top, you can add few drops of any essential oils of your choice. ■ Shake well to incorporate the mixture and enjoy your spritz. Once you’re done and ready to apply it, take a small section of hair, shake the bottle and apply the mix to the section. You can then finger detangle or *gently* comb the hair, and the tangles should melt out. Don’t rinse off the mixture, just put the hair into a twist to keep it stretched, and move on to the next. This makes a great pre-poo treatment, and you can also use it if you’re about to redo a style. It could be used as a leave-in as well. And it’s amazing as well if you’re taking down braids/twists, it makes the process much easier. ■ If you can get one, use a bottle with a trigger nozzle, or one with any handle like that. They are so much easier to hold, and spray over your whole head. ■ When you make any spritz, make sure you leave a gap at the top. This allows the ingredients to mix better when you shake them. ■ Make your spritzes in small batches. You don’t want bacteria to grow on them. Keep them for a week maximum, store in the fridge if you can. ■ Be careful if you ever use coconut oil in any of these. As coconut oil can solidify easily, you might have to warm the bottle in order to spritz. This means it will go off easier, especially if you reheat it multiple times. And it might block the nozzle of your spray bottle if it solidifies up there. ■ Don’t add in any powders or butters, these will also clog the nozzle. ■ You might notice that the ‘liquid’ part of the spritz will go down faster than the oil part; this is normal because the liquid is at the bottom, where the nozzle is. So it’s important that you shake and then spritz to get a mix of oil and liquid to go up the tube. ■ Try not to use really thick oils, unless they’re in a small quantity like in the detangler above. A spritz is supposed to be quite light. Making half of it with something like castor oil is probably not the way forward – it might not mix will, would sit on the hair, and also will probably clog your spray bottle! ■ The spritz will separate itself – this is normal, just shake it up and get going. ■ Spritzes work best when you keep it simple! You don’t need to put every ingredient you own into it in order to get an effective mix. ■ There are absolutely no hard and fast rules on what you put in. These are just ideas, but you can make it your own! Would you mind sharing your Spritz Recipes with us? This looks extremely easy and being homemade i am sure it will turn out to give good results for hair. Thank you for sharing. Greetings! I know this is kinda off toppic however I'd figured I'd ask. Would you be interested in trading links or maybe guest authorng a blog article or vice-versa? andd I believe we could greatly benefit from each other. I look forward to hearing from you! Great blopg by the way!